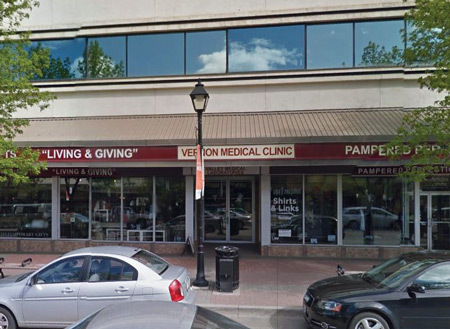 Our address is #200 - 3207 30th Ave on Main St (30th Ave) between CIBC and Scotiabank, 2nd floor. There is a walkway from the parkade directly into the clinic. On Main Street (30th Ave), West of Hwy 97 (32nd St). On the 2nd floor between CIBC and Scotiabank. Please note you cannot turn left off the highway onto 30th Ave when approaching from the South. Meter parking is available on the street for $1 an hour (max 2 hours) and there is also parking in the parkade across the alley from the clinic for 50 cents an hour (max $4 per day). The parkade entrance is off 31st Ave. Please leave your children at home (unless they are a patient). There is limited space in our waiting area and exam rooms.